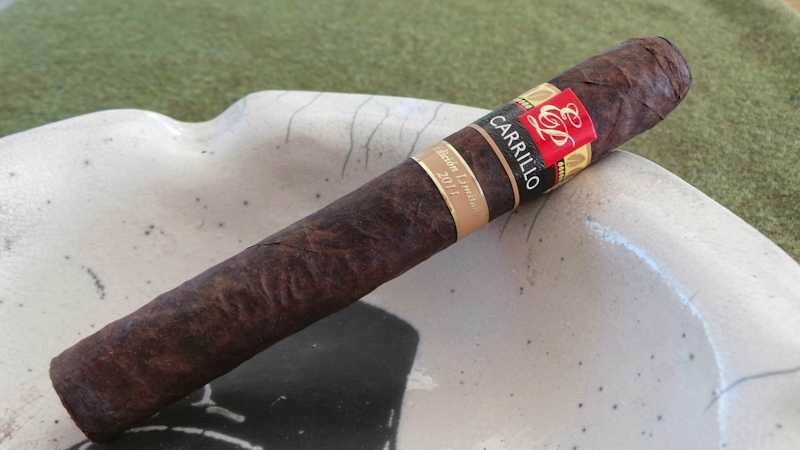 Craig – The EP Carrillo 2011 Dark Rituals Edicion Limitada is a cigar with a special place in my heart. It’s not the best cigar in the world, it’s not my favorite size but it is the only cigar I’ve ever received for building someone a house. In 2009 I started working with a couple in the Chicago suburbs to design their dream house. We worked long and hard to marry their need for space with their desire for a healthy & efficient living space. When it was all said and done, they had the first LEED Certified house in their county, The most efficient in their town and one of the healthiest in the state. I was proud of that house and so were they. A long while after they had moved in they came to my office with a small parcel and a big smile. I opened it up and was absolutely blown away by the generosity displayed in giving me a box of these Dark Rituals. What we’re smoking tonight are the last three specimens from that gift and a perfect way to remember that very personal achievement. The cigar is a gigantic vitola, larger than my gauge can even measure. I’m guessing that direct measurements would yield a 56×6-⅜” size. The wrapper is extremely dark but substantially lighter than it was initially. It’s lost some oils and shows some of the color inconsistency of a tobacco leaf that is almost water stained. All coming from the oils that used to be present. The wrapper leaf is only called “Oscuro Maduro” by the mfg but no country of origin is disclosed. An Ecuadorian Sumatran binder sits over all Nicaraguan filler tobacco. I expect it to be dusty,with cocoa & fruit flavors dominating. I look forward to the journey. Tonight, for the most part, we skipped recent happenings from the world of cigars…because we have special guest Michael Stewart. You may remember past visits with Mike when we talked about his rolling hobbies, of both cigar and sushi nature. He is down visiting Kip this week, and we thought it’d be cool to catch up on how his trip is going and what they have been able to see and do during the visit. Padilla Fumas…despite what may have been preconceived notions if I’d known about this cigar beforehand, I genuinely enjoyed it. Habano wrapper over mixed filler – which held together very well, burned superbly, and tasted toasty and sweet. I dug it. RoMaCraft Aquitaine. My sweet Aquitaine. I’ve gushed and waxed poetic over this cigar in the past, but boy have I missed them. Mike brought some down for me, and I feel like I need to lock them away and give someone else the key. I don’t know how they’ll last very long. Heck, I liked them so much I have to admit Craig was right about the vitolas…I think I may like this Mode 5 even more than the Anthropology. I don’t say that lightly, nor willingly. Tonight, we’re revisiting a cigar we’ve smoked, enjoyed, and talked about. A lot. The RoMaCraft Aquitaine line, in the Anthropology (corona gorda) vitola. This line features an Ecuadoran Habano Ligero wrapper over Cameroon binder and Nicaraguan filler blend, with tonight’s cigar coming in at 5.75” x 46. Skip joined us way back in Episode 028, and I even reviewed this cigar back in 2014. We have a long history with the line, and I especially admire the commitment to excellence Skip & Mike bring to the industry…let’s see if the Aquitaine still lives up to the storied reputation in my mind…. The big story for tonight is legislative in nature – the fact that yesterday the Make America Secure and Prosperous Appropriations Act of 2018 (H.R. 3354) passed the House of Representatives. What does this mean? A lot. And not much…. Before we all start lighting those celebratory cigars, let’s take a look at what has specifically transpired. It’s true that this is the furthest the cigar industry has gotten a process that has been tried repeatedly over the past several years. H.R. 3354 does include language that exempts premium cigars from the FDA regulations we’ve been talking about for so very long – by restricting the FDA from using any funds to enforce the rule. This is huge in principal – but not a fully completed piece of legislation. The House and Senate now have to iron out any differences and bring a similar Senate bill to pass (and, of course, the President will have to sign said agreed-upon language). None of the existing Rule has changed as of now – and may not. This Act is essentially the guiding document for budgeting/spending in 2018. So, its duration ends in October 2018. To be furthered beyond that date, the process would have to be once again approved before. While I remain hopeful, I know that these types of add-on riders are very difficult to be brought to fruition for both houses to agree…however, if it does make it through the process this time around, it is also very difficult for it to be removed later on. Should both houses come to agreement and the language remain, this would at least postpone enforcement of the deadlines currently set for 2018 (warning label additions, user fees, etc. ), and new products could be introduced through the involved timeframe. 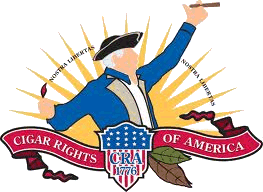 I’m going forward with the belief and hope that the cigar industry came away with a win, and hope the plan can come together with something workable for the industry. We shall see….. Since our last show, Hurricane Irma made its presence known throughout the Caribbean and Florida. While it was a devastating storm, and one of the largest known in this hemisphere, it did not impact the cigar industry in a catastrophic manner. Most of the Lesser Antilles which were hammered by the storm are non-tobacco producing territory, and the industry impact was dampened on the affected islands by the fact that most do not have tobacco in the fields at the moment. Here in the DR, much of the country’s non-essential operations were closed for a day, but except for the far eastern portion of the nation most of us only experienced a rainy day with limited wind and localized flooding. Cuba took more damage. The extent of the damage to its cigar industry is yet to be seen. Many factories were temporarily closed for flooding and windy conditions. It is not yet known how extensive the damage is, as much of the country’s north coast is still flooded and without power. Florida took a serious (but less so than expected) hit from the storm, but thankfully it was diminished more quickly than forecast as it moved the length of the state. The southwestern portion of the state bore the brunt of the storm, which caused quite a bit of flooding in addition to wind damage. However, returning to cigar industry specific news, most Miami based companies avoided significant damage. Most lost a few days of work and shipping. Casa Cuba – Very harsh. What gives? Camacho Criollo – a cigar I’d overlooked after the company’s revamp a few years back. Frankly, the blue (Ecuador) was offputting to me, and I never looked back. DC sent me one of the Criollo while I was stateside this past summer, and I smoked it last week. I have to admit to enjoying it far more than I expected. It was spicy early on, but softened considerably during its second half. It remained interesting throughout. There aren’t many Camacho products I reach for; this one is on the list now. Nica Rustica – the cigar that snatched my interest a few years back because it originally was to have some Nicotiana Rustica in the blend. That particular leaf did not work out for them, and the cigar fell out of the limelight for me personally. DC also sent one of these, and it has revived my interest as well. It was very, very smoky – in flavor and literally. Tons of charred oak flavor and perfect construction were winning characteristics. 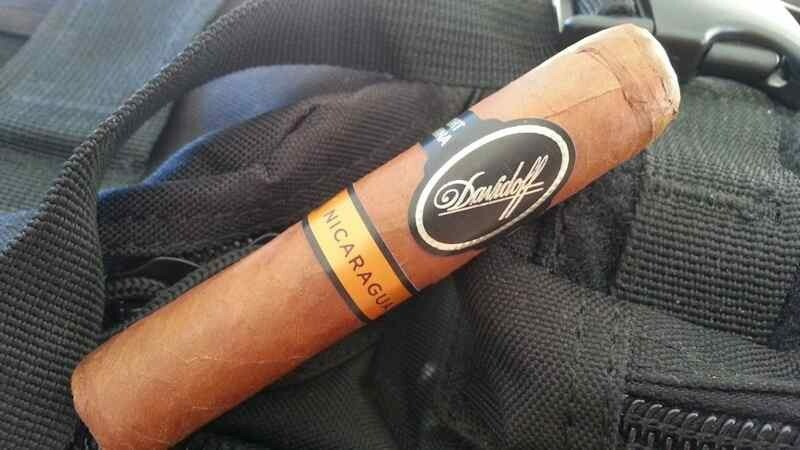 I have added this to my list of cigars to bring back on my next trip to the US. Unbanded 028, from Kevin H.
Tonight, we’re smoking another Unbanded from the generous Kevin Hasselwander – thanks, Kevin! The following are Craig’s notes about it before lighting. Tune in for the grand reveal! A 6-½”x44 heavy in the hand, colorado colored cigar. If I didn’t know better, I’d say that it was a Cuban cigar by the texture & appearance of the (seemingly Habano) wrapper. It’s very firm and has a rustic triple cap. The appearance at the foot looks as if it’s a “book” style of bunching which, partnered with the density & weight, makes me somewhat anxious about how it draws. The unlit draw & aroma please, with the perfect resistance and a slight spicy sweetness in the sensation. We shall see how it progresses! With all the FDA goings-on, there have been quite a number of concerns about cigar donations that go to American service-folk. A number of manufacturers have made it known that they have ceased their donations for fear of the practice being deemed against the sample restrictions outlined in the new regulations. It remains a gray area, but a couple of legislators have requested specific clarification from the FDA, and are introducing at least one bill that would specifically allow the continuation. It’s certainly NOT against the regs for individuals to donate cigars…but it could be construed as such for retailers and manufacturers. We shall see in the days ahead…. We don’t talk a great deal about Las Cumbres lately, Jose Blanco’s parent of the Señorial line. 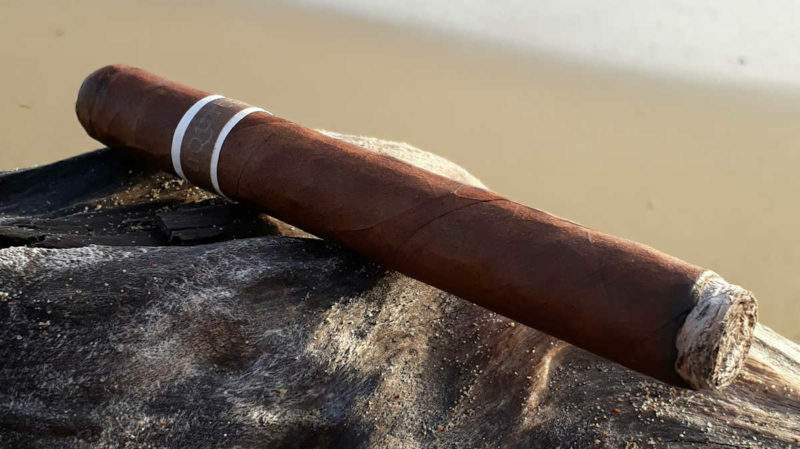 But, he is launching a few new lines/extensions – a Connecticut version of the Señorial, a maduro Freyha, and the Freyha 12. 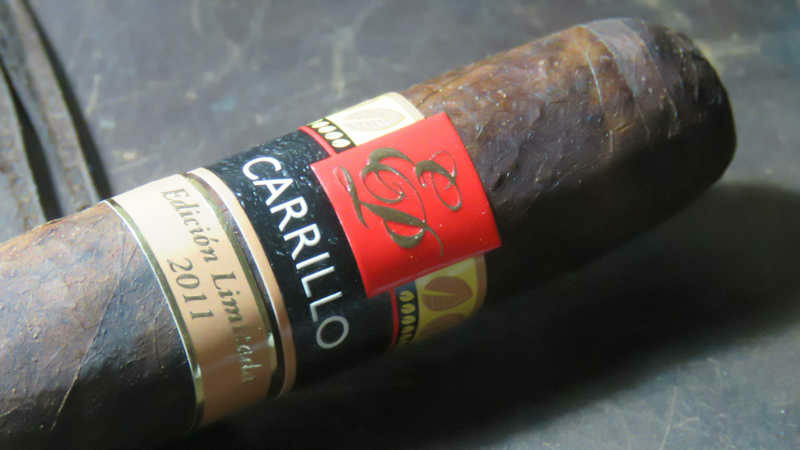 The first will feature an Ecuadoran CT wrapper over Dominican Piloto Cubano binder and Criollo 98/Piloto Cubano fillers. The maduro Freyha, named the Freyha Nocturnal, will feature a CT broadleaf wrapper over San Andres binder and similar fillers to the Señorial CT. Finally, the Freyha 12 celebrates her 12 years in the industry with a singular 7” x 52 churchill that carries an Ecuadoran Habano wrapper over Dominican corojo, criollo 98 and Piloto Cubano filler. The popular Two Guys’ “Firecracker” has been announced for 2017. It will be coming from Fratello this time around. 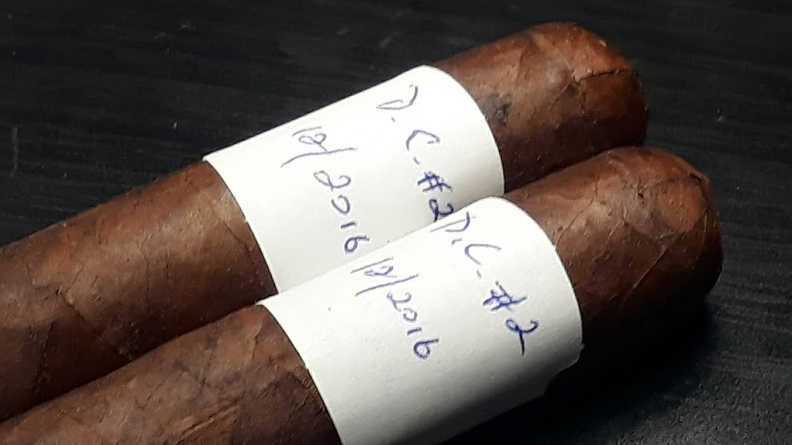 The 3.5” x 50 vitola will have the same blend as the Fratello core line (Nicaraguan Habano wrapper, Ecuadoran Sumatra binder and Nicaraguan/Peruvian filler. MSRP is reported to be around $6. 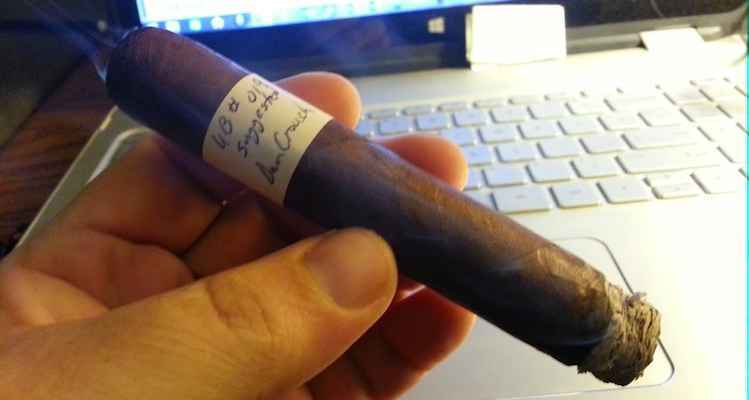 This year’s edition was made by RomaCraft, in the CroMagnon series. Check near the end of the show for Craig’s review of the recently released ScrewPop Ashtray! Spanish for digestif, Digestivo usually refers to: “a cocktail or other alcoholic beverage that is specifically served after a meal. The purpose of a digestif is to aid in the digestion following a meal. Spirits such as port, brandy, cognac and whisky are examples of traditional digestifs. And as Bodega Premium Blends would have it, not only does its Digestivo pair extraordinarily well with those drinks, there’s nothing finer in the humidor to finish off a meal. When enjoyed around a gathering this cigar comes to life. 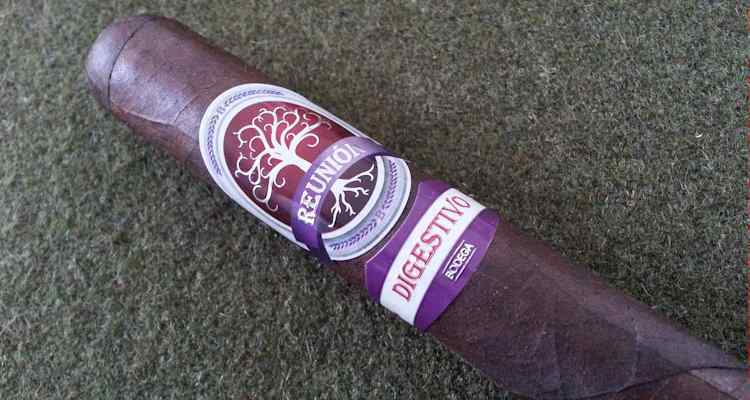 A Maduro in the true sense of the word, Digestivo has undergone a longer and more intense fermentation process. This marked evolution brings out the natural sugars of leaf giving the Digestivo its trademark “sweeter” flavor. Bolder than its companion, Digestivo is designed to bring the whole experience to a satisfying conclusion. Join us as we chat with Ron and smoke the Digestivo. He was able to hang out for the entire first hour of the show (much thanks, Ron! ), and we followed up with a regular format afterward. In the news, we cover stories from Nebraska (again), La Flor Dominicana, Fratello, and RoMaCraft. We wrapped up with some review of what we’ve been smoking this week. Next week, we’ll be featuring the Partagas Serie D 4 as our Cigar of the Week. Be sure to tune in Friday night at 9:30pm EST and hang out with us in the chatroom during the show. If you would like to contact us in the meantime, you can reach us via the “Contact Us!” tab at the side of this page, or at the following emails: [email protected] or [email protected] Please feel free to drop us a line if you have any questions you’d like answered, comments to make…or even compliments and complaints. We love to get your emails! Also, remember you can always go back and listen to previous episodes, which can be found in the Half Ashed Archive. You can download this week’s audio directly below (right-click “Download” and save), find us on iTunes, or subscribe with any podcast app at our RSS Feed. Video, as always, will be available at the Half Ashed YouTube Channel. The commercially available Trinidad brand became available to the market in 1997 with the Fundadores and the Edicion Limitada trend began in 2000. For the first time in 2007 the two came together in this lonsdale. At 6-½”x42 it is a beautiful size to match the beautiful appearance of this unique stick. 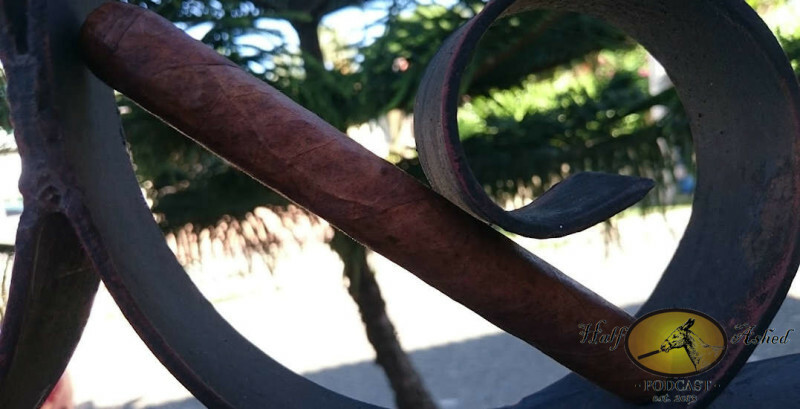 Trinidad, a decidedly sweet tasting brand, and the E.L. wrapper leaf, an almost agonizingly dark tasting priming of wrapper tobacco were combined into this stick in September of 2007. I’ve included this cigar because of what it SHOULD have been compared to what it actually is. So join us for that, as well as news items from RoMa Craft, Crowned Heads, JC Newman, Ashton, and La Aurora. We additionally covered a couple of legislative items, and what we’ve been smoking. Next week, our Cigar of the Week will be the Tatuaje Tattoo Caballeros, so be sure to check back in next Friday night at 9:30pm EST at halfashed.com where you can catch us recording and participate in the chatroom. If you would like to contact us in the meantime, you can reach us through the contact page or at the following emails: [email protected] or [email protected] Please feel free to drop us a line if you have any questions you’d like answered, comments to make…or even compliments and complaints. We love to get your emails! Also, remember you can always go back and listen to previous episodes, which can be found in the Half Ashed Archive. You can download this week’s audio directly below (right-click “Download” and save), or find us on iTunes to subscribe. Video, as always, will be available at the CigFed Half Ashed Video Archive.